The Giver was an emotionally thrilling film with heart-string pulling performances from the entire cast. 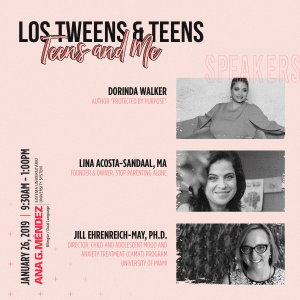 It’s more moving and insightful than Hunger Games and Divergent and a great conversation starter with parents and teens. Penned in 1993 by Lois Lowry, The Giver has sold more than ten million copies worldwide and is one of the top works in ‘young adult’ fiction. A dystopian, post-apocolyptic piece sharing the horrors that happen in a utopian world of conformity, the book was an inspiration for the creation of The Hunger Games and Divergent. But unlike The Hunger Games and Divergent films, The Giver explores another realm of humanhood, emotion. The exploration of human emotion through acting and imagery will leave you on the edge of your seat. 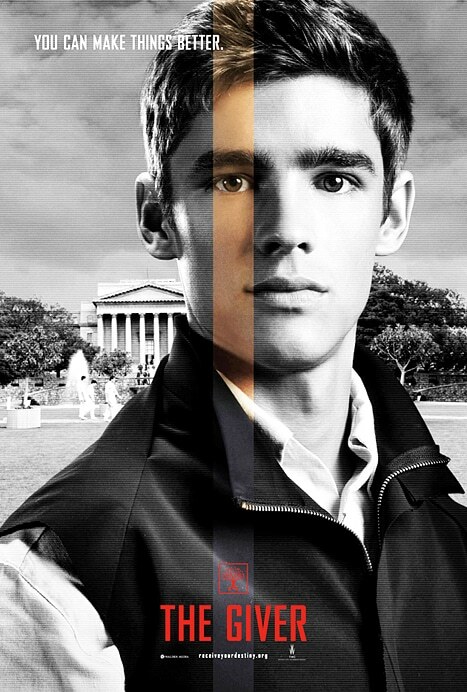 The Giver follows the story of Jonas (Brenton Thwaites) and his relationship with “The Giver” (Jeff Bridges), who is the sole keeper of memories. Jonas quickly discovers that his colorless world of conformity and contentment is lacking the powerful positive emotions of love, laughter and music as well as the negative emotions and the consequences that come with them. Jonas knows that he must escape this world to free the memories and protect those that he loves the most. Maddy, my twelve year old daughter, and I went to see the movie together. She had just finished reading the book and was skeptical that the film would do it justice. But, the screen play makes very few changes to the book’s plot. One such change is the aging of the main characters to allow for a love interest. As Odeya Rush points out in our interview, it’s an important tweak that audiences will find enriches the story. 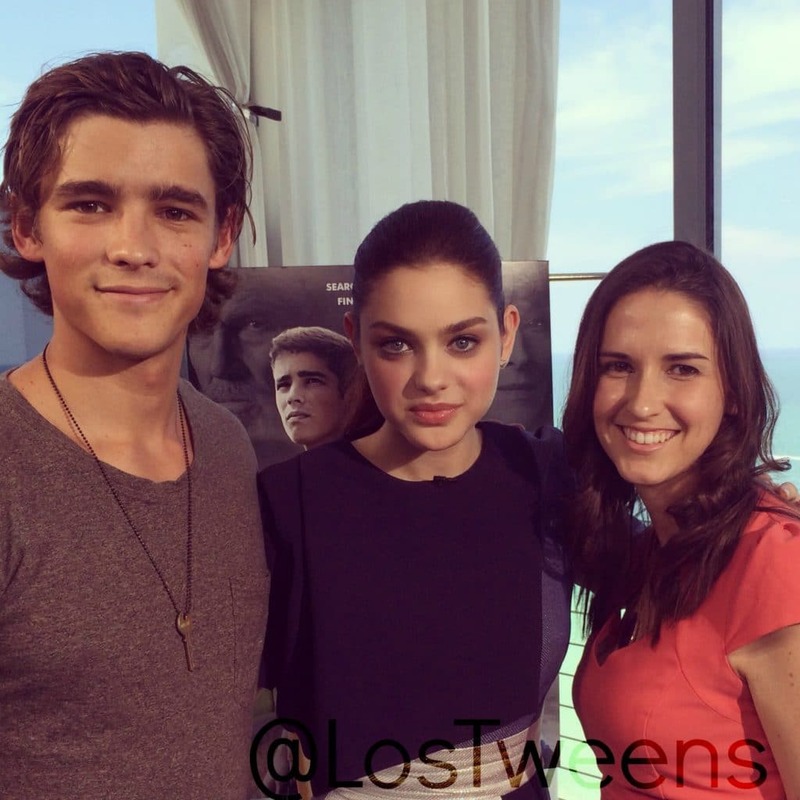 When I mentioned I would be interviewing Brenton Thwaites and Odeya Rush, the Los Tweens girls started jumping up and down screaming. The Australian actor, Brenton Thwaites, starred along side Angelina Jolie as “Prince Charming” in Maleficent. Albeit a short role, it was enough to put his name on the radar for every tween and teen girl. Brenton’s lead role and solid performance in The Giver will certainly catapult him to fame and his growing fan-base can’t hurt either. Seventeen year old Odeya Rush is another star to watch. I found Odeya to be extremely insightful in her interview answers. Odeya has been compared to Mila Kunis but she is clearly set out to make her own path. The Giver opens in theaters Friday, August 15. This entry was posted in Entertainment and tagged Brenton Thwaites, film, Movie, movie review, Odeya Rush, Review, The Giver. Bookmark the permalink. I,ve enjoyed movie. Not bad. There are some importent contexts in it. Gonna find who was Major Gray Lowry.